On today’s audio menu is a review of the Aural Symphonics Chrono interconnects and Hybrid v3 speaker cables. I had them for an extended period of time, and have been able to use them with three sets of monoblock amps, four preamps and two digital front-ends. I’ve had a great time playing with them used together and in mix n’ match configurations with my Silent Source Silver Signature interconnects and speaker cables. This is a short review, because it doesn’t take any effort to tell that these are very good cables. It hits you as soon as you put them into your system. I didn’t have much background knowledge on the Aural Symphonics when I received them, so I went to the Aural Symphonics website to see what the deal was. The following paraphrases the information from the website. The Chrono interconnects. All Chrono conductors and connectors are cryogenic infusion processed. The positive conductor is an 8.0awg conductor configured as multiple un-insulated solid cores. The negative is a smaller conductor and there is no outer shield or crushed polypropylene fillers in the design. Aural Symphonics says that the Chrono achieves very low noise without any outer shield. They also cite as a benefit the fact that the absence of an outer shield eliminates the need for any additional resistive load on the ground conductor. Aural Symphonics claims that the Chrono is stable over long cable lengths, exhibits minimal effects on electronic component interfacing, and is appropriate with both vacuum tube and solid-state equipment. The Hybrid v3 bi-wire speaker cable. The Hybrid v.3 includes a conductor network specifically designed for low frequencies, and one conductor designed for the mid to high frequencies. Both stranded and solid-core conductors are used. This cable design is wound in a helical (cork screw) fashion allowing a precise configuration of the circuits inductive and capacitive values. According to Aural Symphonics, they chose conductors of varying types and diameters that were selected for their individual electrical merits, but combined to maximize performance as a whole. 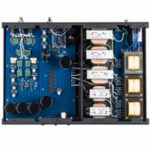 These differing conductors address the challenge of proper signal transfer from amplifier to bi-wired speaker. 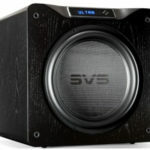 In addition to reproduction of air and body, they claim that the Hybrid v.3 is designed to enhance the amplifier’s ability to control large diameter, low-frequency woofer drivers. The conductors at the amp end are bundled into a pair of spades, while the conductors at the speaker end are divided into two pair of spades – one pair for the bass and one pair for the mid and treble section of the speaker. The price of the Chrono balanced interconnects is $1,570 for each of the two 1.5-meter pair, and $4,600 for the 5-meter pair, while the price of the 2-meter, bi-wired pair of Hybrid v3 is $2,800. These are obviously not cheap cables. As you would expect from the price, they should be high-end performers. So what do they do? As a general matter, all of the cables were very extended in both the bass and treble. Notwithstanding the top-end extension, they were very smooth in the treble with no glare or glassiness at all. They also went deep into the bass with excellent body, but without losing definition. They also had a warm and natural midrange, with a bit more body and warmth than your typical high-end cable. Finally, they all had excellent PRAT, which is not always the case with cables that have substantial warmth and body. In order to maintain consistency when evaluating the Hybrid v3 speaker cables, all observations were made using the same speakers, the B&W Nautilus 800Ds. In addition, I used three different amps during the review process: a pair of Plinius References in the bridged monoblocks mode, a pair of Shengya PSM-600 monoblocks (review to follow), and my own Electrocompaniet Nemos. Since the Hybrid v3 brings the cables together into a single pair of spades at the amp end, I was not able to evaluate it with the Plinius References used as stereo amps set up for biamping. As a result, the comparisons with different amps all involved using the amps as monoblocks. I had more options to test the Chrono interconnects because I had two sources and 4 preamps available. The sources were the Electrocompaniet UP-1 with spider clamp (review to follow) and my own Upgrade Company-modified Esoteric P-70/D-70 transport/DAC. The preamps were the Ypsilon PST 100 (review to follow), the Shengya CS-6 (review to follow), the Pass XP-20 (see review in the July Edition of Dagogo) and the MBL 6010D. In all cases the output of the preamp was processed through my Lyngdorf RP-1 room correction device. The Aural Symphonics were not as flexible as my Silent Source Signatures, which were the most flexible high-end cables I’ve ever tried. But the AS were way more flexible than several other high-end cables whose stiffness was nothing short of frustrating. The Aural Symphonics were in the middle of the pack, with good flexibility and the ability to reach tough spots if you have enough length and created loops. However, don’t expect to make any 45 degree bends. Below I describe the relative effect of a variety of component combinations. This is to assist you in understanding the sound of the Aural Symphonics cables. I do not mean to suggest by these subjective descriptions that any particular combination is “better” than another. All of the equipment involved was top products, and clearly in the “high-end”. My purpose is to explain the character of the Aural Symphonics Chronos interconnects and Hybrid v3 speaker cables and how they sounded in these different setups. These comparisons used only Aural Symphonics interconnects and speaker cables, except for my Transparent Reference AES/EBU digital cables between the Esoteric transport and DAC. Electrocompaniet EMC 1-UP; MBL 5010D; Electrocompaniet Nemo monoblocks. When used with the Chrono interconnects and Hybrid v3 speaker cables, this combination produced the richest sound of all the combinations. Visitors who listened often thought I was using all tube electronics. Ironically, this was one of the setups that had no tube components at all. This combination really highlighted the Aural Symphonics’ ability to produce rich music without sacrificing speed or dynamics. Extremely dynamic. Esoteric P-70/D-70; Ypsilon PST 100 Preamp; Shengya PSM-600 monoblocks. This produced the “leanest” sound, although I put it in parenthesis, and it was in no way “lean” but an amazingly neutral sound, neither lean nor rich. Dynamics were great, but the more noticeable characteristic was a virtual and transparent soundstage. Images just hung in the air, almost ephemeral. I found this to be one of the most outstanding characteristics of the Ypsilon PST 100 (review to come) and was worried that the Aural Symphonics with its rich sound would destroy this fabulous characteristic. I didn’t need to worry. The AS’s did a great job conveying this Ypsilon characteristic. Electrocompaniet EMC 1- UP; Shengya CS-6 Preamp ; Plinius Reference monoblocks. This produced a sound a bit richer than what I judge subjectively to be “neutral”. The extra richness was clearly originating from the Electrocompaniet EMC-1, which was the richest-sounding CD player I’ve ever heard. The Aural Symphonics cables produced every bit of the EMC-1’s velvety sound, and then some. Very dynamic, but a bit less than the first combo. Esoteric P-70/D-70; MBL 5010D; Plinius Reference Monoblocks. This produced a sound of virtually identical richness to the Electrocompaniet/MBL/Plinius combo, the insertion of the MBL undoubtedly offsetting the removal of the EMC-1, but it also produced absolutely explosive “knock-your-socks-off” dynamics – the best of the group, and about the best I’ve ever heard anywhere. Esoteric P-70/D-70; Pass Labs XP-20; Electrocompaniet Nemo monoblocks. This was similar to the Esoteric/Ypsilon/Shengya combo with a neutral sound with a good balance of body and tight bass detail. The soundstage with the Chronos was very transparent, even with the use of the rich Nemos. It sounded subjectively “fast” and highlighted the versatility of the AS cables, showing that they could produce lighter, more transparent soundstages while still maintaining a robust tonality. If you compare the sound of these combinations of components when used with other brands of cables, a clear difference emerges. The Silent Source Signatures have a bit lighter touch and soundstage transparency, whereas the upper bass/lower midrange body of the Aural Symphonics made for a richer listening experience. When compared to several Nordost Valhalla cables, the Aural Symphonics made the Nordost sound absolutely lean. You may have noticed that none of these combinations created a deprived, “lean” sound. This is completely consistent with what I found with the Aural Symphonics Chrono and Hybrid v3 speaker cables. Anything that otherwise seemed a bit lean using my Silent Source Signatures immediately sounded richer with the Aural Symphonics Chrono and Hybrid v3. Where did this extra “richness” come from given that the cables were both lively and extended? The Hybrid V3 could reach into the stratosphere when used with components that excelled at reproduction of the upper registers, but was never harsh. When deliberately paired with components that plumbed the depths, they proved that they could enhance both extension and weight without sacrificing speed. After careful listening, I concluded that the Hybrid v3 was very comparable to my Silent Source Silver Signatures speaker cables, with a slight addition to the heft of the bass. Of course, the Hybrid v-3 was a bi-cable design, while I was actually using 4 separate cables when I used the Silent Source Signatures. The Chrono apparently gets its name from the Greek deity Chronos, who was the personification of time. The name reinforces the fact that the Chrono really keeps pace – that it, the Chrono interconnect maintains the PRAT and speed of the performance. It does this while nonetheless projecting a full-bodied sound. I have not encountered many interconnects in this price range that exhibit both tonal richness and realistic speed, that normally requires the expenditure of considerable dollars for the Nordost Odin, Transparent Reference or Opus, or similar megabuck interconnects (not to say that these cables aren’t amazing). Unlike the Hybrid v3 speaker cables, the Chrono interconnects clearly had a different presentation than the Silent Source Silver Signature interconnects. 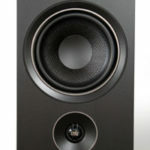 The Chronos were richer, with a definitely more pronounced mid-bass and slightly more pronounced upper bass. The effect on small combo recordings was a very intimate sound, and the effect on lean recordings was to make them eminently listenable. They also seemed to create a slightly closer presentation, one that felt more like row 10 rather than row 15 (how my system usually sounds). On large-scale recordings the soundstage was slightly thicker – not “congested”, but clearly less space between performers, which some people would tend to consider as more “realistic”. Of course, one could never be certain unless he was there when the piece was recorded. Furthermore, I found that I could dial in a bit of richness in stages by substituting Chrono interconnects one pair at a time. The most noticeable effect occurred when I inserted the 5-meter Chronos between my Lyngdorf RP-1 room correction device and the amps. However, the effect was similar even when I substituted the 1.5-meter Chronos between the front-end and the preamp, and between the preamp and Lyngdorf RP-1. I don’t mean to say that the Chronos are not neutral or that they are really “tone controls”. Far from it. They are excellent high-end interconnects with top and bottom ends that are among the best I’ve heard, with a midrange that is very natural. The difference is the mid and upper bass, which possesses a warmth and body that makes for an intimate sound. If Nordost interconnects tend to be lean and fast cables that match well with tubes, then the Aural Symphonics Chronos are interconnects that somehow give you more realistic body without sacrificing any speed or dynamics. 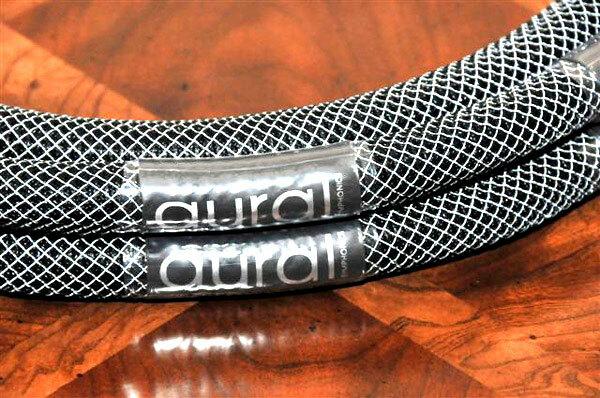 Aural Symphonics’ latest cables are terrific designs, clearly among the best I’ve tested. The Hybrid v3 speaker cables are very good at providing delicacy at the upper end and warmth and body in the midrange, while reproducing deep bass with both weight and speed. The same with the Chrono interconnects, but with more body in the mid and upper bass. The Chrono interconnects are especially recommended for those who feel their music is too lean but who also want to retain the speed and dynamics of the original recording. 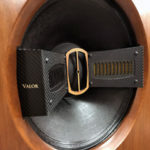 Thanks to Ed Momkus for his thorough and enjoyable review of the Aural Symphonics Chrono interconnect & Hybrid v3 speaker cable. Ed gets it, when he talks about the speed, dynamics, frequency extremes, midrange character and high frequency extension. Listenability of the Chrono and Hybrid, two cables from one manufacturer and not the typical cut and paste of products from different manufacturers is the best approach of this review and Ed gets it. His comments about being able to differentiate between source electronics as noted in the review is not a panacea and reveals our commitment in designing cables with technology and audible excellence, cable products working together in synergy. Our Chrono and Hybrid v3 designs allow faithful reproductions, clearly audible across the many electronics used in the review. Also mentioned and not always distinguished in audiophile cable reviews, Ed’s ability to audibly discern changes between different electronics with the Aural Symphonics in his reference system. Thanks again for the opportunity to be written about by one of the finest on-line audio review sites. Ed’s own kind words in his “Conclusions”: he heard what I was after.